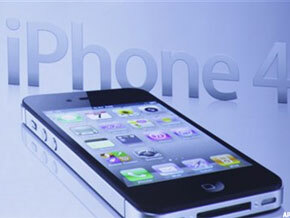 iPhone on China Mobile may kick-start 3G adoption. NEW YORK ( Trefis) -- China's largest wireless service provider, China Mobile ( CHL, said last week that it added close to 6 million subscribers in January, taking its total tally past 650 million. The company now has more than 655 million mobile subscribers, of which about 54 million subscribe to its 3G services. While the carrier is well ahead of China Unicom ( CHU - Get Report) and China Telecom ( CHA - Get Report) in terms of overall subscriber numbers, it doesn't enjoy the same dominance in the high growth but still young 3G market. Could the arrival of the iPhone 4S on China Mobile's network change that? See our complete analysis of China Mobile here. At less than 14%, 3G penetration in China is very low. This gives smaller wireless carriers such as China Unicom and China Telecom ample opportunity to compete with the behemoth that is China Mobile. With more than 650 million subscribers, China Mobile is the largest wireless carrier in the world and has twice as many overall subscribers as China Unicom. But when it comes to 3G, the difference is not nearly as much. As of January, China Mobile had around 54 million 3G subscribers to around 43 million subscribed to China Unicom's 3G network and close to 39 million on China Telecom's 3G network. Moreover, China Unicom has been closing the gap with China Mobile by adding a growing number of 3G subscribers every month. January saw China Mobile add 2.7 million 3G subscribers to more than 3 million that China Unicom added. The story was the same in December as well, when China Mobile added close to 3.2 million 3G subscribers to China Unicom's 3.5 million. While China Mobile had a significant head-start given its huge 2G subscriber base, its TD-SCDMA 3G network is incompatible with most smartphones currently available in the market such as the iPhone. This requires handset vendors to come out with specially crafted phones for the carrier's proprietary network which has proved to be a huge deterrent.Meanwhile, China Unicom has been selling the iPhone since late-2009 and China Telecom will soon launch the iPhone 4S on March 9. Still, China Mobile managed to add about 10 million iPhone users (as of October 2011), who paid for an unsubsidized phone just to be with China Mobile's stronger 2G network. We believe that Qualcomm's recent announcement of a baseband chip that supports China Mobile's networks will finally make it possible for Apple to release an iPhone on the world's largest carrier. When that happens, it will help China Mobile add even more iPhone customers and increase its 3G footprint. Only about 8% of China Mobile's total subscriber base is 3G customers. This gives China Mobile over 600 million 2G customers who may one day transition to 3G. Wider availability of smartphones that support its 3G network will help it promote 3G better and gradually transition its huge 2G base to 3G. Adding 3G subscribers will help China Mobile increase its ARPU levels as 3G smartphone users are huge data users as well. But the subsidies associated with smartphones such as the iPhone may cause its margins to fall. We have seen China Unicom's EBITDA margin for its mobile division decline sharply since the end of 2009, when it first started selling the iPhone. But its ARPU levels have also increased sharply since then.